In the first part of this 2-part series on Pharmacy careers, we looked at the various pharmacy courses in India. Tanmoy Ray is back with the second and concluding part. This time he writes about career paths after completing Pharmacy courses. 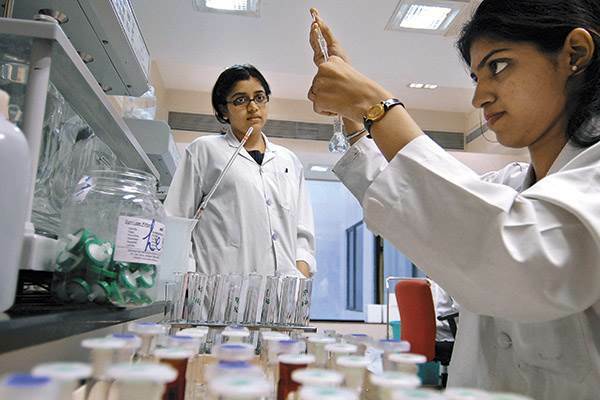 Here’s an introduction to the various career paths in the Pharma industry. If you are really enjoying the core subjects like Medicinal Chemistry, Pharmaceutics, Pharmacology during your 3rd and 4th year of B.Pharma, then you could consider a career in research and development. You can get R&D roles within pharmaceutical, biotech, agro and FMCG sectors. Ideally you will need to have M.Pharma, MS or PhD degree. GPAT qualified candidates do get preferences. If you wish to purse M.Pharma from some of the top institutes like NIPER, then do start your preparation from the 3rd year itself. Other options will be going for MS (or MSc) abroad. The B.Pharma course itself does not provide that much research opportunities. So, a foreign education and training will really help you. With B.Pharma background you can specialize in Pharmacology, Drug Delivery, Drug Chemistry, Biochemistry etc. In India, an M.Pharm graduate can start with 22K per month (average), and the salary package can be 42K per month (average) after 5 years if you do not add any further skills or qualifications to your name. Few people might consider QC / QA roles as boring. But, if you are skilled and intelligent, you can make a satisfying and rewarding career. Assay development and assay validation roles are really exciting. M.Pharma with Pharmaceutical Chemistry or Pharmaceutical Biotechnology specialization will help you in this role, also known as Analytical R&D. Here are the top Analytical R&D profiles (according to LinkedIn). Similarly, formulation development (F&D) is also an exciting function for M.Pharma graduates with Pharmaceutics or Pharmaceutical Chemistry specializations. Identifying new and more effective formulations (combinations of active drugs and other constituents) is as important as finding a new drug molecule. A fresher in India will earn something between 8K – 18K per month. Yes, the starting salary could be quite low; but after 5 years you can see yourself taking home 32K – 42K per every month, provided you keep on learning new techniques and methods. If you are not too keen about research and development but you want to stay in the core domain – go for roles within QC & QA. With a PG Diploma (or Masters) in Pharmaceutical Regulatory Affairs or Pharmacovigilance and with few years of experience in the industry can really help you in terms of career progression and financial growth. Another less explored job function is medical writing. If you have got sound knowledge about Pharmaceutical Sciences, like being creative, have got a flair for writing, possess attention-to-details, and happy with desk job – then do try Medical Writing. The number of medical writing jobs in India is on the rise; and the pay packages are also good. Manufacturing (or production) also involves QC/QA because each and every batch need to maintain a certain level of efficacy and safety. The pay packages are similar to the above job roles (Analytical R&D and F&D). Few people think that Medical Representative is just any sales job – WRONG. You have to advise the Medical Doctors about the pharmacological effects of the drug, their optimum doses, indications for specific diseases, side-effects and contraindications. So, your subject knowledge and communication skills need to be on par. But, if you are from B.Pharm background, then you will have various advantage during your job duties. You can get promoted from Field Officer to Area Manager level within 3 years (on average it takes 2 to 5 years). You can also move in to the Product Management Team (PMT) with 4 – 7 years of experience under your belt. M.Pharm candidates with Pharmacology specialization or MBA graduates can also get PMT jobs. You will be dealing with making strategy, sales, marketing, analysis and financial stuff a lot within the PMT. Who can hire you – read about Top 10 Pharmaceutical Companies in India and Top Pharmaceutical Companies by Sales by Bombay Stock Exchange (BSE). If you land up as a Medical Representative after B.Pharm, you can expect to earn something between 14,000 and 25,000 Rupees per month (excluding incentives). With experience and promotions, you can end up earning between 25K and 32K per month, after 3 years. If you switch to PMT or do an MBA after 3 years, you can land up with 40K to 60K per month (again excluding incentives). So monetarily, this is the most rewarding job role. M.Pharm graduates are the ideal candidates to get Lecturer roles. But, Pharm.D candidates are also eligible for lecturer jobs. Clearing GPAT, NET, SLET will be of great advantage. Almost every state in India has got decent number of Pharmacy colleges. Andhra Pradesh, Karnataka, Gujarat, Haryana, Madhya Pradesh, Maharashtra, Tamil Nadu, Punjab, Rajasthan, Uttar Pradesh, Kerala have got the Pharmacy Colleges in the range of 60 – 200. B.Pharm graduates can also get Lecturer jobs in D.Pharm colleges. In the academia you will also have the opportunity to be involved in research as well, though not all the colleges will have the quality research scope. You can also undertake part-time PhD while teaching undergraduate and post-graduate students. An extensive lists of Pharmacy Colleges in India, segregated state-wise, can be found here as well. The starting salary can be as low 8K – 18K per month with M.Pharm qualification, but the job could be quite relaxing with lot of benefits like housing and/or numerous holidays. After 5 years, if you do not go for a PhD (full-time or part-time), you can still earn around 30K per month. For quality life-work balance, this could be a nice role. Community Pharmacy is one of the core career opportunities, and will be most suited to PharmD graduates. The role involves counselling patients, advising them on dosage and intake for taking the medicines. This is a very critical role and demands considerable knowledge and skills. However, in India the concept is very much unknown due to several reasons. The Government, PCI and other authorities (like Indian Pharmaceutical Association) are taking steps. However, it will take time. The vacancies for Pharmacist in Hospitals, Railways, Armed Forces are there, but they are too few to accommodate even 10% (the figure could be even less than that) of Pharmacy graduates that pass out annually. Higher Studies Abroad: You can go for Masters in Public Health or Masters in Health Management in countries where the community pharmacy is in huge demand (USA, Canada, Australia, UK etc.). In the US, the number of shortage of healthcare professionals is supposed to be 250,000 by 2020. So, US will definitely be a country to look up to. Do refer to the Best Universities for Public Health by Kristen Fescoe and S. News; and the Best Universities for Healthcare Management – Top 20 Masters Program and Best Universities. Scoring 298+ in GRE and 6.5 in IELTS (or 90 in TOEFL) can definitely give you good chances to take up admission in good universities, if not at the Top 20. With a Masters Degree in Public Health, you can end up as Healthcare Consultant, Healthcare Policy-Maker, Nutritionist, Food Safety Inspector, Medical Officer, Health Educator, Clinical Researcher etc. The salary would be in the range of USD $40,000 and USD $120,000 annually after one year of experience. This is the career path I would love to see Pharmacy graduates to pursue. The start-up culture in the pharmaceutical industry is extremely rare. There are lot of reasons. The product needs to be of zero-defect and that is why lot of regulations are in place; and then there will be costly instruments and machinery. Investment will be quite big and the concept of venture capital (VC) is still very new in India. The start-up incubating culture is also very much missing in the Colleges and/or Universities. E-commerce – few students should definitely try it in the Pharmaceutical/Healthcare Industry as well (very few ventures in the market so far). If you are looking for further information and inspirations – read Challenges for Pharma Entrepreneurs and The Hidden Pharma Billionaires, and can consult FOPE. In India, Bangalore is doing exceedingly well as the hub of Healthcare start-ups. Know about the start-up ecosystem, recent developments and top healthcare start-ups in the post Bangalore – the hub for Healthcare Startups in India by Rajesh Shenoy. If you have got the ability to think out-of-box, courage to take risks and burning desire for value creation and innovation – then do give a shot at entrepreneurship. There has been a tremendous increase in the number of Pharmacy colleges in India, and hence the number of Pharmacy graduates is increasing year by year. The pharmaceutical industry is either reluctant to hire fresher or employ graduates at a very low salary scale; and the scenario is not so different for M.Pharm graduates. The PhD degree has also become a joke in few universities (ref. Present Status of Pharmacy Profession in India). The research and development activity in the Indian pharmaceutical industry still needs a lot of support in terms of funding. The pharmacy education in India is suffering from serious problems; and the core streams like Community Pharmacy and Hospital Pharmacy have been neglected too much (ref. Pharmacy Education in India: Strategies for a Better Future). Recently The Hindu also reported about this issue Pharm.D graduates take to the Streets. Obviously, the pharmacy graduates are getting disheartened and frustrated. I do not blame you. Even I was quite confused and frustrated during my 2nd/3rd year of B.Pharm. But, then I managed my way out to do something enjoyable and monetarily decent as well. The Pharmacy subject and profession has got serious drawbacks and issues. Whether you are good with numerical, analytical reasoning, creativity, entrepreneurship, money matter – Pharmacy profession can give you the opportunity to excel in any field in any region during any economic situation. I would request all the Pharmacy aspirants, current students, graduates (and their parents) to love Pharmacy, be passionate about it, be patient, be pro-active and think out-of-the-box, and to look beyond the immediate surroundings. At any point of time, please feel free to contact me. Being a Pharmacy graduate myself I would try my best to help and advise you. I have always been an average, or may be above average student; but never a topper or something like that. But, I loved Pharmacy. I figured out my interests and strengths early on (I was pretty clear by the end of my 3rd year of B.Pharm about what I wanted to do after graduation), took a calculated risk (being from a middle-class family and my Father being the only earning member, I went on to study to UK taking a huge education loan. UK has its worst recession back in 2008-2009 but UK was offering 2 years of Post-Study Work Permit that time), kept working hard and moving places (UK, Holland, Australia etc.) – and I never regretted about having Pharmacy as my Graduation subject. HI, I AM DEBJANI SAHA,B.PHARM GRADUATE.AFTER B.PHARM I WANT TO STUDY POST GRADUATE DIPLOMA IN PHARMACOVIGILANCE.SO KINDLY INFORM ME WHICH INSTITUTE IS SUITABLE FOR DOING THIS COURSE IN INDIA. Sorry for replying after ages. as i m in last year of my undergraduation degree & currently im pursuing graduation in botany. if i shuld take admision in master’s in genetics or not. You can opt for any specialization in the field of biological sciences after B.Sc. Botany, including M.Sc. in Genetics. It completely depends on your interests and career goals. If you kindly share your interests and goals, I can be of better help. If yo wish to pursue a career in bio-medical science, you can choose any of the branches for Bachelor studies (Molecular Biology, Biochemistry, Microbiology, Pharmacology, Genetics etc.) depending on your interests. Yes, you can go for Postdoctoral training (research) after your PhD. It’s good that your parents are supporting you. I believe you are equally motivated about a career in bio-medical research. In case you need any specific guidance, please feel free to ask me. If you are not too keen to move out of your home town, BSc in Molecular Biology, Genetics or Pharmacology will be a good choice as well. Yes, BSc (Hons) is a little bit superior than general BSc – you get more credits when it comes to applying to foreign universities. For example, few foreign universities ask for either 4-year Bachelor degree or a 3-year Honors degree for admitting students in their Masters program. There is nothing like a best branch. Each and every branch has their importance. It depends on your interests and career goals. At undergraduate level, it is slightly hard to find out a streamlined interest. I would prefer you to go for BSc (Hons) Biomedical Sciences if you’re finding it tough to decide upon a specific subject. I would also encourage you to move out of your home town, as it will benefit you in the long-term. Even I moved out of my home town after my 12th. However, it is entirely up to you and your parents. On another note, even I don’t have anyone in my family (or relative circle) from biomedical background. All my friends from my school circle went for Engineering, Arts or Commerce. So, don’t think too much about that. Feel free to post further queries if you need to clarify anything else. Iam pursuing master degree in pharmacology and toxicology from the branch of pharmaceutical sciences.I need an information regarding the ICMR entrance exam as well as job oppurtunitues regarding my field of interest .the cerrerizma has provided a good information regarding the same. Regarding job opportunities in the field of Pharmacology and Toxicology – it is an exciting field. With a Masters degree, a good research (thesis) project and soft skills, you can have a lot of opportunities in the academia and industry. Be it in vitro, in vivo or ADME (PK/PD) studies – you will have lot of options in the research field. In addition to that, the scopes in the field of Medical Writing are also open. With a PG Diploma in Pharmacovigilance or Regulatory Affairs (even if it is in distance mode), you can also have good scopes in the Regulatory Affairs sector. Regarding your query on ICMR entrance exam – I am sorry, but I do not have that much knowledge or information about this. I hope you can get handful of information from the ICMR examination; and also reach out to other people. Presently I am third year of integrated M.Sc in Life sciences in Central University of Jharkhand. Now,I feel like my interest in Biology is not much in lab work but it’s Biology related to Global asssment like I want to study on different species and their taxonomy and systematics.How can I switch to that field after my M.Sc?? Thanks for posting this query. You have chosen a very unique field, and I really appreciate that. First of all while doing your MSc in Life Sciences do put focus on Botany, Zoology and Genetics. Later, you can go for MSc in Taxonomy / MSc in Taxonomy and Biodiversity / MSc in Taxonomy, Diversity and Conservation. Few nice areas to get involved are – Systemic Zoology, Phylogenetic analysis, Molecular Taxonomy etc. Morphological taxonomy is getting a little bit obsolete these days though. Typical employers would be Museums, Natural Resource Management Agencies (Forestry, Wildlife etc. ), Conservation and Environmental Agencies. With experience you can end up in consulting roles in case you want to move away from the molecular research part. Yes, some of those colleges might not have exactly BSc (Hons) in Biomedical Sciences. But, almost all of them do have related disciplines. You will have to do some research online and offline (attend education fairs, speak to admission officers / faculty members / experts). To get started with the research (online), spend some time on popular websites like minglebox, collegedunia, careers360, targetstudy etc. Even if you do your BSc in a related discipline like Biotechnology, Bioscience, Molecular Biology etc., you will gain a very holistic insight into the field of biomedical sciences. This is Shyam,doing my UG 3rd year BSc Biomedical sciences (4 Yrs programme) in Sri Ramachandra university, Chennai. I have looked into two options for my higher education. One option is to apply for SINGA ( Singapore international graduate award) which selects people for 4 yrs PhD programme after 4 yr UG courses or I am interested in a programme MSc molecular and cell biology in Heidelberg universitu, Germany. I have an aggregate of about 75% so far and I have one more year to pursue. Though I am not sure if I would get into these with my marks, do I have any other good options. I am so interested to work in the field of quorum sensing or epigenetics. With 75% aggregate till 3rd year you certainly have very good chances to get in to good universities for Masters program. I would strongly encourage you to apply to 4/5 universities including Heidelberg. Do also consider Ulm, Gottingen, FAU, Medical University of Berlin (Charite) – they have got really nice programs in Molecular Medicine, and some of the programs do include modules on Epigenetics. Regarding PhD, it depends to be very honest. With 4-year Bachelor you are eligible. But, for PhD positions meeting the minimum entry requirements is not the good enough. On an average 50 students compete for 1 position; hence they are always super competitive. Masters degree holders struggle quite often. So, in your case you need to punch really hard. Besides good Bachelor GPA, an ideal PhD candidate need to display considerable research experience, excellent GRE score (institutes in Singapore also recognize GATE scores), recommendations, publications etc. But above all – motivation, inquisitive nature and a rational (and interesting) research idea (not a research proposal always). I am not trying to discourage you. Do take your chances and apply for the PhD program (SINGA). But, as I said – the final decision will be taken based on overall profile and not only on the basis of Bachelor percentage. If you can share your profile in a little bit more details – research experience (internship or lab projects, publication), GATE/GRE score – then I can advise you further. In a nutshell, Masters degree holders always get preference for PhD programs. With only Bachelor degree in your pocket, you need to tick other boxes. But, you do stand a very good chance for Masters degree in Germany, provided you maintain 75% plus in your 4th year as well and write good personal statement. Thank you so much sir. Right now I am doing a project under a fellowship offered by my university. I am carrying out the project currently, which I hopefully think would end in publication. Apart from that, I have done 6 months value added course on Drosophila biology along with practical components. Internship wise I have nt attended on. But hopefully I am planning one somewhere in my final year. Can u assist me in giving me information regarding scholarships or any other ways to take care of my living expenses in germany, though my parents can afford to certain extent. And sir..as far as SINGA award is concerned, according to my knowledge, that is specially for ppl who wanna do PhD after bachelor’s, though I am not sure. As per your profile, you have got decent chances to make it to the PhD program (SINGA). I would also advise you to take the GRE exam as well – that will help you in a big way to get an edge over other applicants. Rest you have to manage through Personal Statement (SoP) and Recommendations. The program does accept Bachelor degree holders. But, when MSc degree holders apply to the program, they get preference. So, it’s better that you submit your application in the best possible way, and tick as much boxes as you can. Regarding Scholarship to cover living expenses in Germany, I am aware about the DAAD scholarship only. It provides a living stipend of around EUR 750 (EUR 1,000 in few cases) per month to Masters students. You should check the eligibility criteria on the DAAD website. i just read your post about the PhD or masters in abroad for biomedical sciences post. Firstly, thank you for helping. i am currently doing my M.Sc. in biochemistry in mumbai and will be completing it this year by June,2016. 1. should i go for a MS-PhD course or direct PhD? does it make a difference? 2. which colleges are good for MS-PhD abroad? 3.some people advice to not go into the main stream and get stuck, so thats really bothering. what else can i do my MS or higher studies after M.Sc in biochemistry? and i am keen about biomedical sciences and topics that dwell in them – pathophysiology, metabolism, dna synthesis and even endocrinology? And lastly, i have done my dissertation this year on microencapsulation of a spice in beta cyclodextrin. would i be needing internships to make my resume look much better ? if i go for a MS-PhD ? – Take up a research position after finishing your MSc; there are quite a few good research institutes in Mumbai – TIFR, NIRRH, ACTREC. If you are fine with relocation, think about Pune, Hyderabad, Bangalore etc. – I would advise you to be open from the very beginning – don’t be too adamant that you have to do your PhD from the US only. Target US, Europe, Singapore, Australia. Your project is a very nice one (microencapsulation of a spice in beta cyclodextrin). But, it primarily falls within the field of drug delivery. If you are keen about pathophysiology, metabolism, DNA synthesis and endocrinology, ideally you need to have some experience in molecular biology field. Alternatively, target the labs that do work in similar fields like cancer drug delivery, nano-science or protein therapeutics – where you can combine molecular biology and drug delivery. Last but not the least, if you are passionate and determined about pursuing a research career in biomedical sciences, just listen to yourself. Yes, it is not an easy career, neither it is too glamorous. In India, there are lot of obstacles. But, there are lot of motivated people doing exciting things. Government is taking nice initiatives. If you are motivated, and your family is supportive – just go for it. I am completing my BSc in Biotechnology from Kerala in June. I wish to do MSc in genetics. Which is a better college – VIT Vellore or Sri Ramachandra medical university,, Porur or any other you can suggest in South India ?? For PG in Genetics, I would place Sri Ramachandra slightly ahead in terns of course contents, research themes and accreditation. In India we haven’t got a standard ranking table or something. But, if you compare the NAAC score, Sri Ramachandra is ahead in that as well. Sr. Ramachandra has got 3.62, where as VIT’s NAAC score is 3.25. It is not a huge difference though. VIT has got other advantages as well. They do provide opportunities to do a term or research project in abroad (UK, US, Australia, Europe etc.). They have got nice network of alumni as well. In terms of placements and industrial partnerships, VIT is ahead. If you want to focus on research, and want to go for PhD – both options are good. Regarding other options in South India, please look at the previous comments. I don’t have anything more to add at this stage. 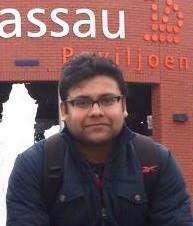 Hello sir, I have recently completed MBBS and has immense desire to do master’s in biomedicine / genetic engineering ……which countries should I try for?? And for which courses will my MBBS background help ?? Meannwhile if I end up in Europe…..After learning language will I be able to try MD/residency there?? With MBBS background, you can go for Masters in Translational Medicine, Molecular Medicine, Stem Cell Biology. Preferable countries would be USA, Germany, UK, Australia, Netherlands, Sweden, Norway, Austria, Belgium. In Europe, language is certainly a critical requirement in order to do residency/MD. However, you might also need to go through internships and/or exams. I’m currently a student of 2nd year BSc. My subject combination is Chemistry & Life Science. I’m actually interested to do my masters in Biomedical sciences. So my query is that can I do MSc in Biomedical Sciences, if I graduate from Chemistry as a major subject or I should strictly stick to Life sciences in my third year? (It’s a 3 year course) I’m confused because I want to keep pharmacology as a 2nd option after graduation. So Chemistry seems a safe option for both. So it is possible to go for MSc in Biomedical Sc. having a graduate degree in Chemistry? You can go for MSc Biochemistry (or Protein Chemistry / Molecular Medicine / Biomedical Sciences) with B.Sc. Chemistry background. Later, you can shift to Pharmacology as well (say during PhD). If you are covering few modules on Biology / Physiology during your B.Sc. – you can go for MSc in Pharmacology as well. Thank you sir for the suggestion I’m looking forward to doing masters in Pharmacology. I just wanted to ask if there is any good colleges for MSc Pharmacology in india? I live in Mumbai but I’m unable to find some in the state itself. Hi Supriya….. You can refer to the list of colleges in the Part 1 of the blog series. In order to pursue a career in Epidemiology – the best course would be Statistics. You can also consider Bachelor in Genetics or Bio-informatics. I would advise you to go for a Bachelors in Genetics, Biochemistry or Statistics and then go for MSc in Bioinformatics, Epidemiology or Bio-Statistics. It is also possible to move to Epidemiology after doing MBBS. But, that will be a long route. sir I want to know more about biomedical science.many colleges of Delhi university offer biomedical courses i.e acharya narendra dev,bhascarcharya college etc.bit colleges have very high cut off,I have 90 % aggregate in PCB but I drop a year it may be deduct my best of three aggregate. and,I also want to know career prospect regarding bio medical science.and other colleges offer same course. Please have a look at the comments/replies above to get an idea about the list of Colleges for Biomedical Sciences in India. Likewise regarding career prospects of biomedical sciences. You can also look at the previous blog (on MBA Crystal Ball). Hey Tanmoy I am an undergraduate pharmacy student in ayurveda, I recently gave gre and got admissions from northeastern, cincinnati and rhode island universities for pharmacology but the problem is I am feeling a lot less confident about myself being able to replay the loan that I have to take. I have my interest in the mol bio, genetics part and also a little pharmacy practice and have applied to msc life sciences and pharmacology and pharmD programs in India, I am a lot confused and depressed, I also did a few review and research projects in varied fields but at the end of the day the confusion and uncertainity bogs me down, thought you might help. If possible can I contact you through email. If you are worried about the expenses and loan amount, do for Masters from India, or go for Master programs where you can get generous scholarship. Germany would be a very good destination for you. GRE is not mandatory for majority of German universities. Having a good GRE score will give you edge over other applicants. If US is your dream destination, you can go there for PhD. I understand your dilemma. Your gut instinct might be telling you to go for Masters in the US. But, if you have to take a huge loan (say 30/40 Lakhs), then it could be stressful during your studies. However, you can take a loan of around 20 – 25 Lakhs. It’s all about taking a calculated risk and keeping faith in yourself. You can certainly get connected with me through LinkedIn. I am a student of VMMC & SJH in 1st year MBBS. I got admission in it by securing AIR 143 in AIPMT. I also got AIR 28 in IPU CET & AIR 14 in my state MP. I am pretty sure I don’t want to go to the clinical side. I am good at maths and great at physics. I am learning college level physics even now because it excites me like hell. And Entrepreneurship is what I would like to pursue but more like a tech entrepreneur like Elon Musk. I also did 6 months course in core and advanced java programming & will do a further course in Embedded systems & Electronics. I wanted to ask you what field of Postgrad can I opt for keeping in view my interests of entrepreneurship and technology and linking with the medical field. I think Bioengineering is a great option. If Yes, Then can you please guide me how can I start preparing for getting a PG abroad in colleges like MIT, Stanford or Harvard. What other certified courses should I do apart from MBBS to add to my CV and make me more comfortable with the engineering side of Biomedical engineering ? What research programs should I join to give me a boost ? And is biomedical engineering a good option for entrepreneurship in India ? I feel so because my dad who happens to be a doctor has motivated me in this direction. If No, then what are the other options that I can look for which are research oriented but also suitable for entrepreneurship. I am a pretty brilliant student and am ready to work real hard because I know interdisciplinary studies are never easy. Please suggest me what is the best option for me ? It is nice to see that you are very clear what you enjoy and what you want (or wish) to do in the future. Going for Masters in Bio-Engineering / Bio-Medical Engineering after MBBS would be an ideal step. You can also consider Nanoscience / Nano-Engineering / Bio-Mechanics. Since you are from MBBS background, please make sure you do some internship with a Bio-Medical company and/or do a project (preferably a research project) during your MBBS. I would also advise you to do some courses and practical training – IIT Bombay and IIT Kanpur provide some good projects in Bio-Medical Engineering. You can also consider doing some online courses (e.g. Coursera). If possible, go for s study abroad semester or at least a research project during your vacation. Entrepreneurship in the bio-medical domain will be a very exciting area in the coming areas. There are not too many startups in India. Few companies are trying working on innovative devices and there is a lot of space in this particular domain. You have chosen a very nice career path. Besides MSc in Cancer Biology, you can also consider MSc in Oral Biology / Oral Pathology, since your long-term goal is pursuing PhD in Oral Cancer. However, since you have already got a strong background in Dentistry, MSc Cancer Biology will give you more edge. Unfortunately, I am not aware of MSc/PhD programs in the Oral Biology field in India. I can suggest UK, Australia and New Zealand only. thanks sir.actually I thought d.u are good idea for biomedical science.as Delhi are close to my hometown.but as I mentioned earlier I’m drop this year and I think it may deduct my best of three aggregate. I would suggest do try the DU colleges irrespective of your 1-year lag. You never know you might get an admission. But, be open to relocate as well if you are really passionate about studying Bio-Medical Sciences. Alternatively, go for BSc in Biology or Zoology. Basic science has got its own advantage. Im a student of M.Pharm (Pharmaceutics). im economically poor but After my Master In Pharmacy I Want To do Phd From Abroad . Plz Give me the suggestion What Can I For Admission In PhD. If you have got an above average academic track record (70/75%+) throughout your Bachelors and Masters, and have done quality research projects (or dissertation), internships etc. – the finance should not be a problem for pursuing PhD. Normally, you will get a tuition fee waiver along with monthly stipend to cover living expenses. So, you do not need to worry about financing PhD in abroad. I’m now perusing 3rd year b pharm in India,I want to do MS in pharmacy in India only.please guid me what can I do after Ms in pharmacy?I mean studying more or job? I am not aware of any MS program in Pharmacy in India. You could do M.Pharm though, and you can choose specializations like Pharmaceutics, Medicinal / Pharmaceutical Chemistry, Pharmacology, Clinical Pharmacy etc. Should you go for job or higher studies – it entirely depends on your goals. If you want to go in to sales and marketing – you should definitely for job first. For other domains – a Master degree straight after B.Pharm will be helpful; but it’s not something like written on the stone. If you are enjoying the Pharmacy stream, and keen to explore in depth – then do go for M.Pharm after completing B.Pharm. I’m Krishnakant. I have just passed 12th and I am confused bwt PharmD and B Pharm. I’m interested in Research side. I have future options in studying abroad. Plz suggest me the next step. Since you are more keen towards the research side, B.Pharm will be a better option for you. For you it shouldn’t be too difficult to get a PhD in Anatomy & Cell Biology, or Biomedical Sciences, unlike Biomedical Engineering. MBBS graduates can get PhD positions in Europe, provided they have research experience and/or publications. The impact factor won’t matter too much in your case. Two publications in pubmed indexed journals will definitely help you a lot. One should have motivation, inquisitiveness and ideas for doing a PhD. The fact that you haven’t done research at molecular level, will not be a big roadblock. For centralized PhD programs, it is fine if you don’t contact the professors before applying. But, I strongly suggest to do that, unless the institute has clearly mentioned that applicants should not contact the supervisors before submitting application. Good luck with your applications ! Can i do pharm.d after class 12?? If then can you please suggest me some colleges? I have appeared for JEE mains and got selected for advance. Hi sir, i completed my class 12 and cleared my JEE mains.Can i study pharm.d now?? If then please suggest me some college. You can do Pharm.D after Class 12. For you it will be a 6-year program, including one year residency/internship. Regarding the colleges, please refer to the first part of this blog series (http://www.careerizma.com/blog/pharmacy-courses-colleges-india/). Im in my 4-1 semester of b. pharmacy. I would like to get a job soon after my graduation with decent salary to support my family which awaiting for my financial assistance. Recently, I heard about medical coding career. I felt it is well promising career and good head start with good salary. But I also have love on my core pharmaceutical industry , but initially it is less paying one. Don’t think I’m greedy for money Sir, because I’m talking about all the payscales. My family is in a great need and so wish to start my career with good salary and long run career. Don’t know which way to go. please advice me about pros and cons of the medical coding jobs Sir and pharma industry jobs. To be honest, medical coding jobs in India do not pay that much – especially in the starting. It would be something around INR 10K – 15K per month. Since the salary part is a priority in order to support your family, and you have also go a knack for the core pharmaceutical domain, you could consider the QC/QA or Sales/Marketing fields. 1. Go for a job after finishing B.Pharm. You can go for some correspondence courses (pharmaceutical management, digital marketing, finance, regulatory affairs etc.). 2. Stay in a job for at least 2 years, then go for M.Pharm or MBA. 3. Try out Medical Coding or KTP role for 1 year. Then go for Clinical Analyst role, and stay in that role for another 1 – 2 years. Simultaneously learn some statistical languages (lot of free resources are there – e,g, Coursera, edX, Lynda). You can then switch to roles like Statistical Programmer Analyst or Statistical Analyst. Companies like Roche, Novartis, TCS, Quintiles-IMS (they are getting merged now) look for talented and motivated statistical analyst. The basics of medical coding will be there in those roles, and with 5 – 6 years of total experience, you can also fetch a package of 10 Lacs per annum. I am currently pursuing M.sc biotechnology at IIT Mumbai. I have also cleared the CSIR-UGC NET exam for jrf. I am interested in doing Ph.d from abroad. I want to know will be it very expensive doing a phd from abroad? as i come from a mediocre family and evidently my parents couldn’t afford so much of money. Is there any chance getting a scholarship in the universities abroad?.If so,then what exams i have to give to avail the scholarships?. Also,if it is very much expensive outside, should i continue my phd in india?. And my last question,is the research oppurtiunity and salary abroad is much higher than that of india?.I am really in a confusing condition so your utmost help is eagerly needed sir. For PhD in abroad, generally you will get full tuition fee waiver along with monthly stipend (or salary) – provided you get in to a decent lab. You might need to spend some money – clearing IELTS or TOEFL and GRE (if you are looking for US/Canada/Singapore). Apart from that the visa fees and flight expenses. However, there are quite a few scholarship/fellowship schemes that also cover visa fees and airfare (one round trip). B. E. Biotechnology (78.3%) from NSIT, University of Delhi(2010-14), Received merit scholarship for highest marks in 3rd & 4th year of bachelor’s study. Did an internship at department of Genetics, AIIMS. 2. Relaxed working environment (not too hectic). Enjoyable city life. 5. OVERALL a great experience for life & scope for future career. 6. Duration of PhD should be preferably 4-5 years or less. Considering the abovementioned points and suitability of my profile, please suggest where and when (keeping in mind work exp requirements) should I apply for PhD. Also, how can I improve my profile to get admission at top level universities. As per as your profile and requirements, the best countries would be Sweden, Netherlands, Finland (especially FIMM), Austria (mainly CeMM and Vienna Program). Second tier would be Germany, Norway, Ireland, Switzerland, Denmark, Belgium. European countries (especially Scandinavian and Nordic ones) are really good when it comes to research quality and work-life balance. The post-study work opportunities for PhD graduates are also very good in those countries. More or less, all those are really good. With your profile, I don’t think you should face too many problems. However, it is a little bit late for most (NOT ALL) of the centralized programs for Sep/Oct 2016. But, you can try open applications for Sweden, Norway and Netherlands. I would strongly suggest you to try harder, and re-attempt GPAT in the 4th year (2017). But, do keep your options open. Get acquainted with other colleges that conduct entrance tests for M.Pharm. Both Pharmacology & Pharmaceutical Chemistry are excellent subjects. Be up-to-date with the industry jobs – in case you can’t go for M.Pharm straightaway after B.Pharm. My best advice would be keep trying, and remain flexible (open to other options that excite you). Feel free to ask if you have more doubts.